You Asked… & We Listened! HAND members, thank you for the feedback you provided through our member meeting and training survey. HAND’s program committee heard your requests, and we’re excited to launch another year of quality sessions designed to build the capacity of your organizations and staff. Please note, detailed descriptions and registration information will be updated on this page as sessions are finalized. This ensures that each session will include timely topics and expert presenters. Many thanks to HAND’s FY15 Sponsors, who offset the costs of HAND’s capacity building sessions. Events are free or discounted to current HAND members. For individuals who are not members of HAND, registration fees for each session are $45 or you can take advantage of our low-cost dues, and join the organization to receive one of the many member benefits: Free and discounted training for you and your entire staff! Our program committee will finalize course content closer to the scheduled date, which allows HAND to offer timely topics and speakers covering issues that impact our work. If you have suggestions for topics to incorporate in HAND’s capacity building sessions, please email Heather Raspberry. Join us for HAND’s December Member Meeting and Annual Holiday Mixer featuring a special presentation from Dr. Lisa Sturtevant, Vice President for Research, National Housing Conference on Local Real Estate Trends and Market Conditions. Dr. Sturtevant will kick off the meeting from 4:00 – 5:30 PM with a presentation detailing Recent housing market trends in the Washington, D.C. region, including the for-sale and rental markets; The economic and demographic factors affecting the demand for housing, generally, and affordable housing, specifically; and Local policies that help meet the demand for affordable housing. At 6:00 PM, we will transition into HAND’s Annual Holiday Mixer where members can mingle with colleagues over hors d’oeuvres and cocktails while celebrating the impact HAND members are making to create vibrant, thriving communities across the metropolitan region! Please note, registration is only open to HAND Members at this time. If space permits, registration will be extended to non-members on December 1, 2014. 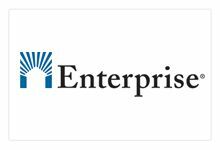 Thank you to Bank of America Merrill Lynch and Metropolitan Washington Bankers Group for sponsoring HAND’s Holiday Mixer and Enterprise for sponsoring the Local Real Estate Trends & Market Conditions Session! 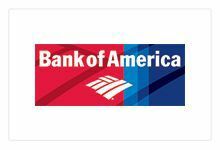 H ow using 9% and 4% Credits with Bonds to maximize investment leverage will be part of HAND’s always popular Credit and Bond “how to” workshop. Michael Scheurer, VHDA, Margo Stern, Freddie Mac and Ed Delany of Capital One will be on hand to provide an in depth seminar on the structure of each financing structure and how they can be used together in today’s ever competitive environment. In addition, the critical partnership agreement, “pay in” issues, and their affect on financing will be highlighted by these seasoned experts. Lunch will be served. Thank you to Bozzuto Construction Company for sponsoring this training session! 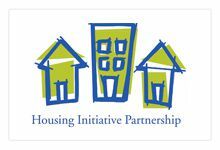 Over the last 20 years, FHLBank Atlanta has awarded over $673 million of equity funding to assist nonprofit, for-profit, and government agencies developing affordable rental and homeownership housing through their Affordable Housing Program (AHP). 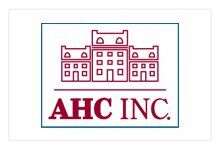 AHP funds can be used in the acquisition, new construction, preservation or rehabilitation of rental and homeownership housing units affordable to persons earning 80 percent or below the area’s median income. Is your organization interested in FHLBank Atlanta funding, yet uncertain where to begin? If you answered yes, join us for HAND’s January Member meeting. Arthur Fleming, Senior Vice President and Director of the Community Investment Services and Joel Brockmann, Assistant Vice President, Rental Production Manager will engage members in an informative dialogue providing an overview of the program, tips for submitting successful applications, scoring categories, underwriting guidelines and timelines for the funding process. 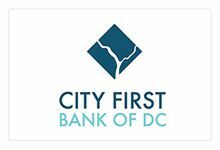 The meeting will also provide an opportunity for members who have participated in the AHP Competitive program in the past to offer feedback to the FHLBank team. The AHP application will open on June 1st with applications due on July 2nd. HAND members, please email questions specific to the AHP program in advanced of the meeting to Heather Raspberry. This event is free to current HAND Members and $45 for Non Members. 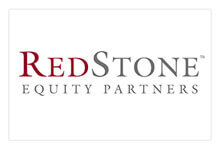 Many thanks to Red Stone Equity Partners for sponsoring this training session! Join us for HAND’s February Member Meeting on Permanent Supportive Housing. 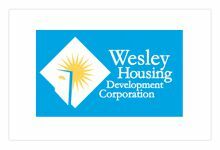 The recent study, Housing Security in the Washington Region (Urban Institute/MWCOG), outlined a need for the development of almost 2,400 new units of permanent supportive housing across the region to meet existing need. This, along with the increasing integration of supportive housing into affordable and other developments, highlights a need for all types of residential developers to learn more about the creation and operation of these types of units. Holly Denniston, Senior Program Manager, Corporation for Supportive Housing will walk members through an overview of Permanent Supportive Housing including: six principal supportive housing features; outcome; QAP requirements/opportunities in MD, VA and DC; and supportive housing models and project profiles. We will then hear from a panel of practitioners who have been on the ground developing and operating PSH developments in the Washington region. They will each speak to: unique aspects of their projects; models for service delivery; public and private funding/financing streams for development and operations; lessons learned/hurdles; importance of partners; and compliance. Panelists to include: Chapman Todd, Jaydot LLC; Susie Sinclair Smith, Montgomery County Coalition for the Homeless; Linda Kelleher, Arlington Partnership for Affordable Housing; and Angie Rodgers, Peoples Consulting LLC (moderator). 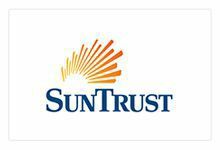 Thanks to SunTrust Bank for sponsoring this meeting! HAND Members, we heard your requests for a 101 session on LIHTC and Tax Exempt Bonds! The basics of tax-exempt bonds and the Low Income Housing Tax Credit program will be presented for practitioners interested in learning these programs and how they work separately and together to produce affordable housing. Michael Scheurer of the Virginia Housing Development Authority will present this 2-hour session that will include ample time for discussion. This is intended to be a “hands on learning” experience for beginners. Lunch will be served. 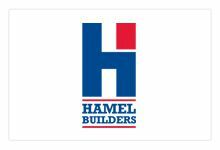 Thank you to Hamel Builders for sponsoring this meeting! The Housing Association of Nonprofit Developers is proud to share our newest program offering: Generation HAND, an emerging leader initiative designed to support the unique needs of practitioners who are on the rise within the affordable housing and community development industry. The goal of this initiative is to provide needed tools and guidance to our developing leaders as they pursue successful careers in the public and private sector. The program will launch with an informative and in-depth panel discussion followed by a dynamic networking event for participants. The panel discussion will include seasoned professionals representing the various segments of HAND’s membership – Real Estate Development, Philanthropy, Finance, Government, Professional Firms, etc. Topics will include tips for professional success, personal anecdotes, industry trends, best practices, lessons learned and more! We hope you will join us for this landmark event. By having a range of perspectives represented by leading industry experts who understand the inner workings of the field, a real opportunity for a well-rounded experience for all attending will occur. These kinds of interactions allow the next generation of real estate professionals to learn from this generation of leaders…and vice versa. This event is free to HAND Members and Partners!! 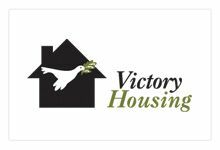 Many thanks to the Nonprofit Helping Hands Sponsors: AHC Inc, APAH, CPDC, Homes for America, Housing Initiative Partnership, MHP, National Housing Trust, Victory Housing, and Wesley Housing Development Corporation for sponsoring this event! 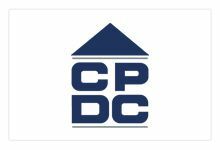 Join fellow HAND members along with over 400 of the top multifamily investors, owners, developers, financiers and other industry principals and deal makers throughout the Capitol and surrounding areas for the Marcus & Millichap/IPA Multifamily Forum: Washington, DC. Discuss information and wealth-building strategies to continue to build business and secure future investments Washington, D.C. and surrounding area, hear from 40+ speakers about their increasing appetite for multifamily assets in DC. , discover how top names of the multifamily construction and development industry in D.C. are defining the luxury residential developments from medium to large portfolios, and learn smart strategies to develop a range of real estate investments with structured portfolios that take the heartache out of complicated borrower structures and agency financing. The Featured Keynote Speaker is Thomas Bozzuto, Chairman & CEO, Bozzuto Group. Please visit their website for additional information. 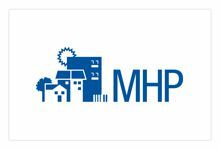 HAND Members save 25% off registration using code MP-25HAND. Register here today! Join the National Housing & Rehabilitation Association and the Maryland Affordable Housing Coalition to better understand your options and hear successful case studies of water and energy retrofits. Energy and water efficiency measures can reduce your properties’ utility use and boost your net operating income. Local utility programs will present on energy efficiency incentives already in place, including a presentation from MD DHCD on $12.5 million in loans and grants available through EmPOWER MD. 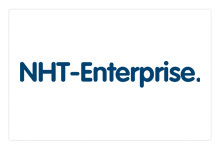 Please visit their website for more information and to register, receive 25% off by using promo code PTEEMDHAND. Ten Scholarships Available for HAND Members! The NDC Academy is a biennial conference that offers economic, housing and community development professionals from around the nation with opportunities to engage in panels and courses addressing the latest policy developments and new trends impacting our profession. There are ten scholarships available for HAND Members, please contact Heather Raspberry to see if you are eligible. NDC is offering HAND Members a special tuition rate of $300 (regularly $825) at the NDC Academy 2015. Please use the registration form to receive the special tuition rate. Join HAND for a session exploring disposition strategies for Low Income Housing Tax Credit deals that have reached the end of their 15-year compliance period. First, sit back and hear some Year 15 Horror Stories from your colleagues—then learn how to avoid them! The session is based on key components from Nancy Rase and Enterprise’s Beyond Year 15: Preserving Housing Credit Projects & Portfolio guide for nonprofits, and includes nuts and bolts panels on how to organize your staff and systems for year 15, how to work with accountants and investors on the ROFR price and who gets the reserves, as well as a review of new developments in the language you should negotiate in your investor letter of intent and deal documents to ensure you are not retelling your own horror stories 15 years from now. Lunch will be served. Dan Mendelson, Chesapeake Community Advisors, Inc. 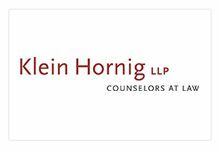 Thank you to Klein Hornig for sponsoring this meeting! We’ve added a special panel discussion, “Using RAD in the Washington Region.” Designed specifically for practitioners implementing RAD in the metropolitan region, this panel discussion will use a case study approach and feature public housing agencies, financiers, law firms and others who are currently utilizing the program. Opportunities to network and catch up with colleagues will follow the program, at a reception from 5:00 – 6:30 PM on the veranda outside the theater. Light hors d’oeuvres will be served. Space is limited for the symposium so register TODAY! There is no cost to attend this event; however registration is only open to HAND Members & HUD Staff. 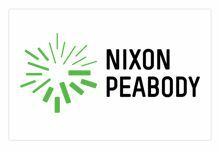 Many thanks to Nixon Peabody and City First Bank for sponsoring our 2nd Annual Symposium! This event is $100 to current HAND Members and $200 for Non Members. 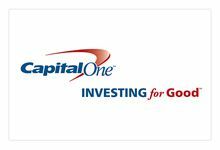 Many thanks to Capital One for sponsoring this session! AHF Live is launching a second event in 2015 due to overwhelming support for widening their programming and high level networking. 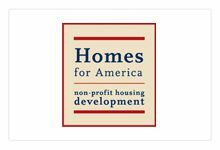 At AHF Live: Housing Developers Forum, developers and owners will huddle with legislators and housing finance officials to provide solutions on how to best navigate that intersection of government and affordable housing to serve more Americans. 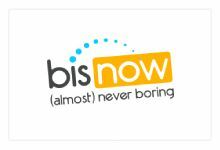 To ensure the highest-quality learning and networking event, attendance is reserved exclusively for people who are primarily owners and developers of affordable housing, plus state and local housing finance agency representatives and nonprofit organizations focused on the business of affordable housing. Only vendors, service providers, and financial intermediaries who have paid a fee as official sponsors and/or exhibitors of this event can attend. HAND members can receive an additional $50 off early bird registration by using the code HAND50. Register Today!